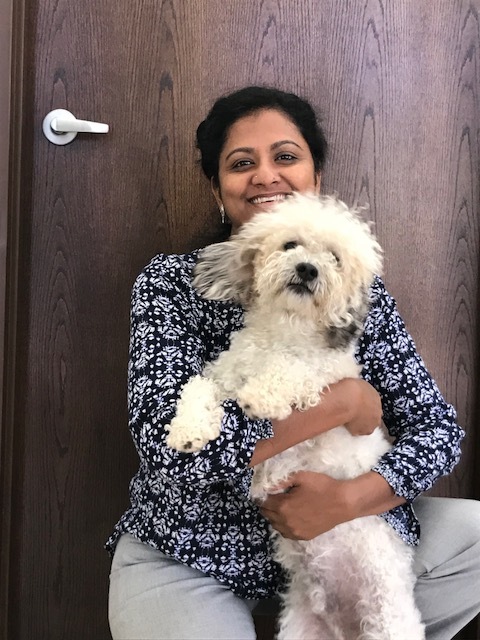 Dr. Padma Yadlapalli started Freetown Animal Hospital with the vision to offer compassionate and affordable care to the pets and pet parents without compromising the quality of medicine. She graduated from ANGR Agricultural University, India. After graduating, she finished the foreign graduate clinical rotations at the Purdue University. 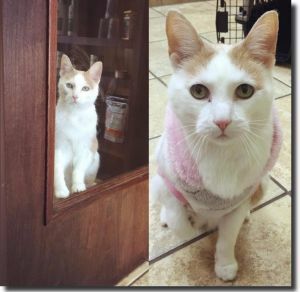 Before opening Freetown Animal Hospital, Dr. Yadlapalli worked at nearby Columbia Maryland small animal practices for 9 years. Happily, she was able to find a place to open her own hospital and be able to practice medicine with no limitations. Dr. Yadlapalli enjoys all aspects of veterinary medicine, but she has particular interest in preventive care and surgery. She would like to enhance her knowledge and skills in these areas even further. Dr. Yadlapalli and her husband Surya have two daughters: Abhigyna and Pranavi who keep her busy while at home. Away from work, she loves cooking, gardening, reading to her kids and fostering rescue pets from time to time. She has one dog named Grumpy, though he is anything but! You may often see him gallivanting about the hospital, chased by Mom, which is HIS favorite pastime. Abby is our hospital cat. She always makes sure everyone is doing their jobs....if their jobs were petting her. You can most often see her lounging on the counter or on a technician's lap.